Another thing I enjoy about Trader Joe’s is that they always have someone offering food samples. The day I went in, a guy was serving turkey chili samples with cheese. I was already hungry and welcomed the chance to fill my stomach with something. 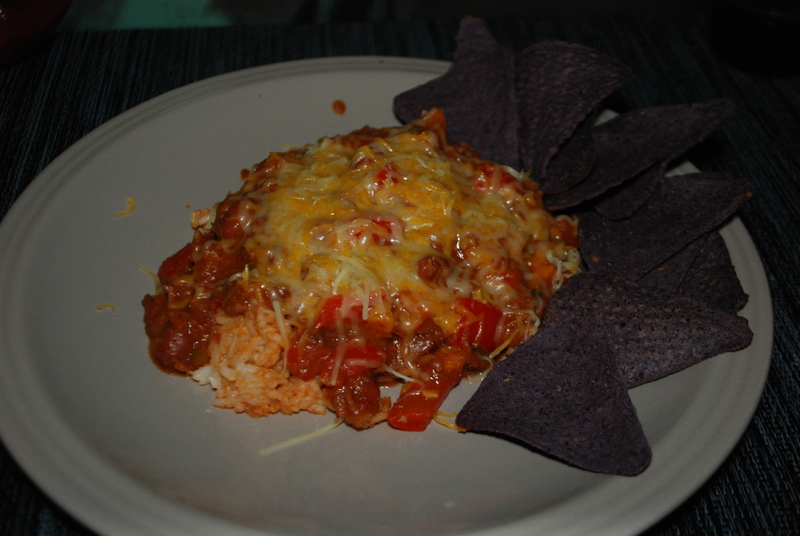 Surprisingly, the chili was pretty good. 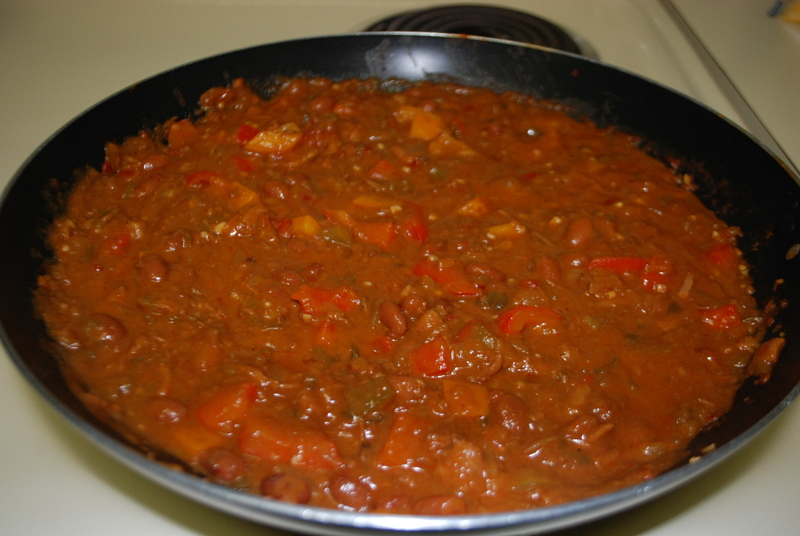 The chili is made with dark turkey meat. 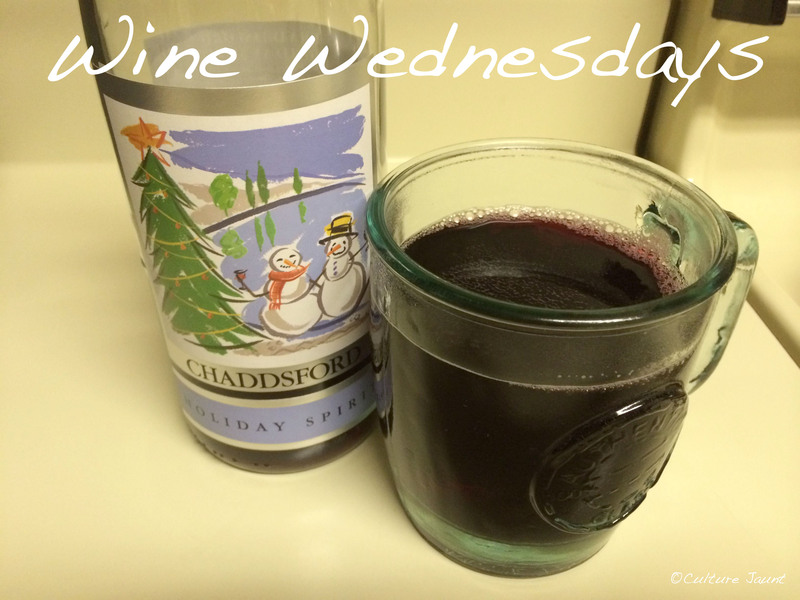 Since it comes in a can, this dinner is very quick to make, which is great for those nights when you don’t feel like spending too much time in the kitchen. I know that’s how I feel when I come home late from work. All you need to do is cook your rice. 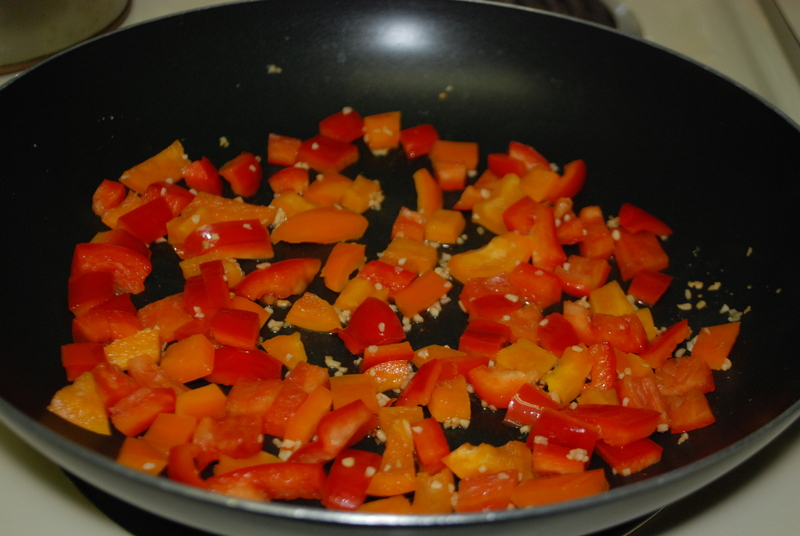 In a skillet saute bell peppers with minced garlic. 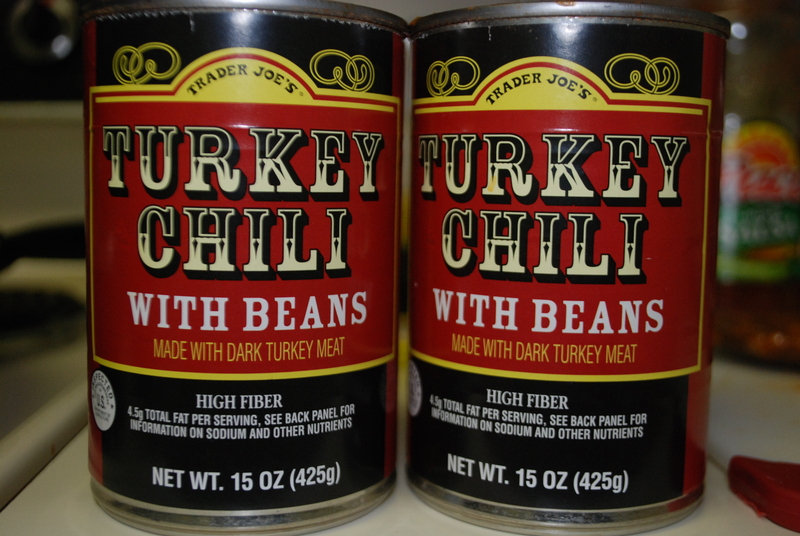 Add turkey chili and season to taste (again, I find Trader Joe’s food a little bland).